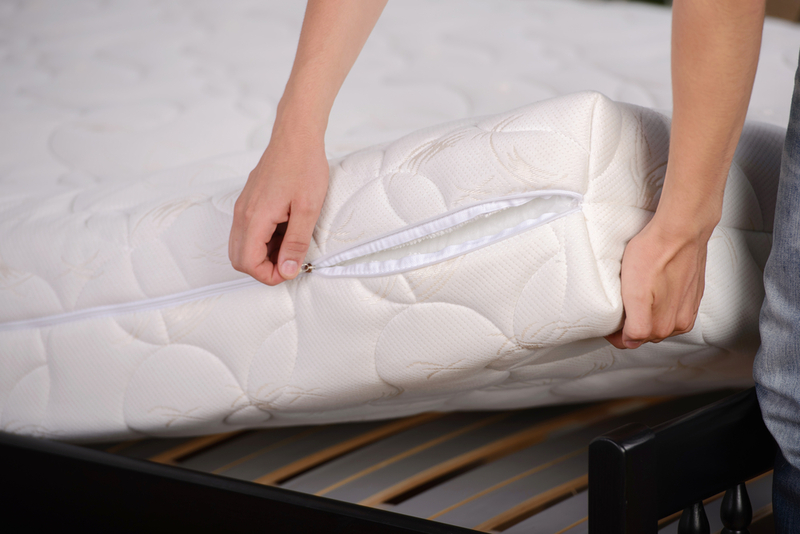 Your mattress is a significant investment and will last for eight to 10 years if it’s properly taken care of. One of the main upkeep steps professionals recommend taking is flipping the item periodically. But, what does this task entail, and why is it still necessary even though mattresses have evolved far beyond the foam and springs they used to be? Why Do You Need to Flip the Mattress? Simply put, rotating the item will extend its lifespan, ensuring you get the most out of your purchase. While it used to be common practice to physically flip it over, this only needs to be done today if you have a classic item. This will help you avoid irritating issues like having the middle or one side of the mattress wear down and sink below the others because someone has been sleeping in the same position for too long. What’s the Proper Way to Rotate It? Generally, this activity should be done once every three to six months. If you have a full-size bed or something larger, it’s best to ask for help since mattresses can be heavy. Make sure you have enough room to turn it 180 degrees without breaking anything. It’s often a good idea to move nightstands and other furniture and breakable items far away so they don’t get damaged. This is also the perfect occasion to vacuum the mattress off and clean under the bed. If you’re flipping the mattress, meaning turning it over completely, you’ll need even more room and a second pair of hands — even if the bed is a twin. Ready to purchase a new mattress so you get a good night’s sleep? NY Mattress Outlet has a fantastic inventory of comfortable styles and top-quality brands and is conveniently located in Brooklyn. They’re also known for being affordable and offering free, same-day delivery to any of the five boroughs. To learn more, call (718) 395-7280 or visit their website today.